Strange theory reveals secrets of the universe, the logic of sycamore leaves and why even smart people struggle with new ideas. A guest post from Pete Aleshire, Editor, Payson Roundup. The Payson Roundup is our local newspaper here in Payson, AZ. I first saw this article by Pete a couple of weeks ago and was just utterly engrossed by it. Not just the tantalising peek into a physics I know so little about but the beautiful prose. The latter is not surprising because as well as being editor of the paper, Pete also teaches the creative writing course at our local college. Jean and I had the benefit of attending the course, I guess about a year ago, and therefore can speak from experience. So settle down and enjoy. I finally got Drake Larson together with both sycamore leaves and Payson Mayor Kenny Evans. Moreover, I have been entrusted with a formula that may win me an invitation to Oslo if Drake gets a Nobel Prize. But even if that don’t work out, I did get to eavesdrop on Drake and Evans. Quite the event, from my bemused point of view, since it shed light on dangerous delights of outside-the-box thinking and the Nature of the Universe. But wait. You look confused. Let me back up — and start somewhere closer to the beginning. Be patient with me — by the time we’re done, you’ll realize why God’s a math nerd, one surprising secret of Dark Energy, why farmers become original thinkers and what sycamore leaves tell us about the universe. But first, I have to explain about Drake. We grew up together, getting into (and mostly out of) various varieties of trouble. Very early on, I realized that he was much (much) smarter than me. This initially really irritated me, as I was previously inclined to vanity about my intelligence. Turns out, I love learning stuff other people have discovered, but Drake only gets truly excited when he has hold of a completely new idea that no one else can quite grasp. This prepared me, as it turns out, for meeting Kenny Evans — but that’s getting ahead of the story. Drake and I grew up doing math homework together, before I wandered off into a career in newspapers. He got his degree in mathematics, turned down a job with the RAND Corporation and took up growing table grapes. But he never quit picking at the lock of the universe. Years ago when I was the science writer for the Oakland Tribune, he came to me all excited about a set of formulas he had. I did my best to follow the two pages of calculations, but all I can tell you is that they described instabilities of any sphere with uniform density. He predicted that when the Voyager spacecraft reached Jupiter, it would report inexplicable turbulence at a certain depth in the atmosphere. I ran his numbers past various top-level physicists and mathematicians who couldn’t find a flaw in his formulas — but concluded that it had to be wrong since it led to a violation of the keystone laws of conservation of mass and energy. But I took note some months later when the Voyager spacecraft reported mysterious levels of turbulence deep within the atmosphere of Jupiter. The years passed. Drake kept growing grapes, flowers, dates and vegetables — and working on his calculations. He wrote a book, “The Cults of Relativity,” in which he described a few of his theories, delighted in the conundrums of mathematics and pondered the curious resistance of even smart people to unconventional ideas. We got together again recently. I took him down to Fossil Creek, all overhung with sycamores with the rustle of floppy, five-pointed leaves. Drake was his old self on our Fossil Creek tour as he tried to show me math’s beauty around us, although I was but a blind man clutching the tail of his mathematical elephant. He had now connected his formulas to dark energy, a still hypothetical form of energy invoked by desperate cosmologists to explain the startling observation that the expansion of the universe is actually accelerating. To explain this seeming impossibility, they invented “dark energy” — which they figure pervades the universe and at certain densities creates a repulsive force stronger than the attractive force of gravity. Anyhow, here’s the point: Drake was in awe that his mathematical wanderings offered a way to calculate dark energy’s cap within earth — it happened to be an “inside is now outside” inversion of Isaac Newton’s simplest integral. No. Please. Don’t ask me to explain that. But earth’s dark energy cannot exceed 17 pounds per square inch at a depth of about 1,500 miles. He’s been working with University of Southern California computer crunching guru professor Barry Boehm, and the University of California at Riverside geophysics professor Shawn Biehler on its implications. Among other things, it could explain the perplexing observation that major earthquakes increase the earth’s rotation rate. No one knows how to measure such a quantity at present. Someday they will. If it turns out that 17 pounds per square inch is a relevant benchmark for earth’s dark energy, then this column will maybe win Drake the Nobel — and I’ll get to dress up and attend the ceremony. So Drake and I spent the day wandering along the banks of Fossil Creek as he kept trying to come up with metaphors so I could grasp math’s secret within the beauty of Fossil Creek’s sycamore leaves. 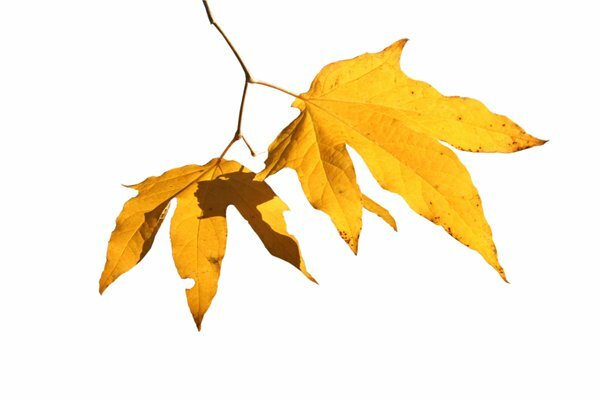 The well-designed sycamore leaves adhere to the Fibonacci sequence, a mysterious progression of numbers that crops up throughout nature — from the spiral of a nautilus shell to the layout of the ruins of Chaco Canyon. So I figured I’d just write this — and get earth’s 17 PSI cap for dark energy out there in the time/date/ stamped world. Oh, yeah: And about Kenny Evans. So that night, I took Drake to the Payson council meeting. Turns out, Drake’s family was growing grapes in the Coachella Valley at the same time Evans was farming 10,000 acres in Yuma. They both managed to survive that tempestuous time when the United Farm Workers union organized agriculture workers. I introduced them and listened as they recalled events and figured out whom they knew in common. It was then that I decided to blame Drake for my faith in Evans’ ridiculous conviction that a university will build a campus here in this itty bitty tourist town — complete with a research center and convention hotel. No sensible small-town mayor would risk public ridicule while spending thousands of hours on such an outside-the-box notion … unless he’d learned to gamble on dreams and hard work during all those years as a farmer. Evans’ notion is almost as silly as a farmer who calculates the amount of dark energy emanating from earth, while credentialed experts scratch their collective heads. Still, I’m thinking maybe I’ll get a nice suit jacket — something I can wear to both the university’s groundbreaking and the ceremonies in Oslo. Hey, never hurts to be prepared. 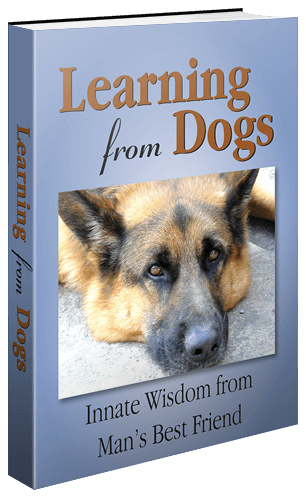 A big thank-you for the permission to republish this on Learning from Dogs. I have no doubt that many LfD readers enjoyed it as much as I did! Stay with me for tomorrow when the theme of thinking, innovation and craziness is explored a touch more.